Opinion post written by Dr FJ (Erik) Verreynne – a wildlife and livestock vet with a post-graduate wildlife management degree, who has been practising in Botswana since 2002. 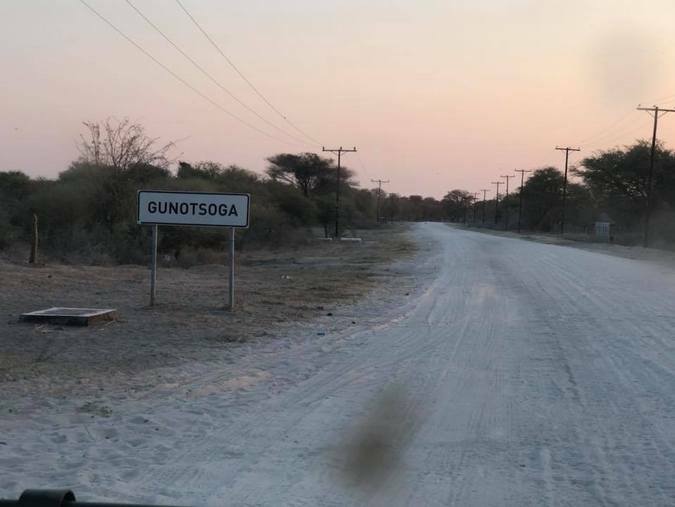 Driving on the white gravel road from Seronga, past Eretsha, Betsa and Gudigwa, to the village of Gunostoga in the northwest of Botswana marks the boundary between the flood plains of NG12 to the south and the dry mopane veld of NG11 and NG13 in the north. The Namibian border is roughly 80km to the north. 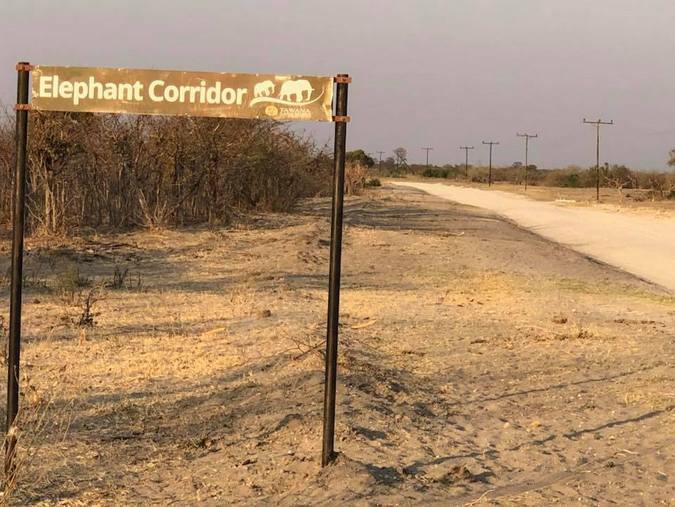 To the north from here, along the Caprivi strip, is one of the areas reported to contain the so-called strewn carcasses of the many poached elephants. There is no better area to seek perspective on the BBC article where Elephants without Borders raised the alarm on a large numbers of elephants being poached in Botswana. The gravel road connecting the area is here because the people are here. And the people are here because the water and the floodplains are here. And so are the wildlife. It has been like this for many years, long before the areas to the south and east were re-classified as photographic safari areas. Long before local people were stopped from hunting or herding their cattle to the apple leaf sandy ridges to the south. People were and are still working their fields in the wet season, or herding their cattle on the floodplains during the dry season. They are fishing from mokoros and harvesting reeds for building shelters and houses. The elephants have always been here, mixing with people and other wildlife and taking chances with raiding crops. But they were perceived as much less of a menace then, reportedly because they were fewer in number. In general people got by without major issues and life at large was peaceful. 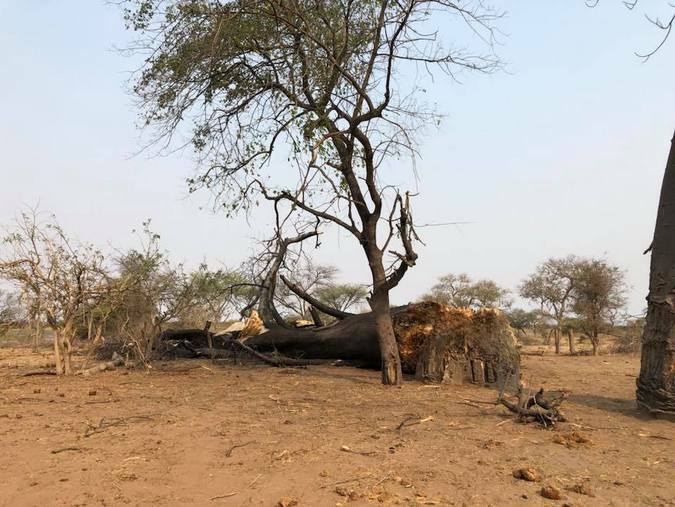 NG12 was a controlled hunting area, and elephants and other wildlife were hunted in a controlled manner, supervised by the Department of Wildlife and National Parks, while communities benefited either directly or indirectly by means of employment, money or meat. 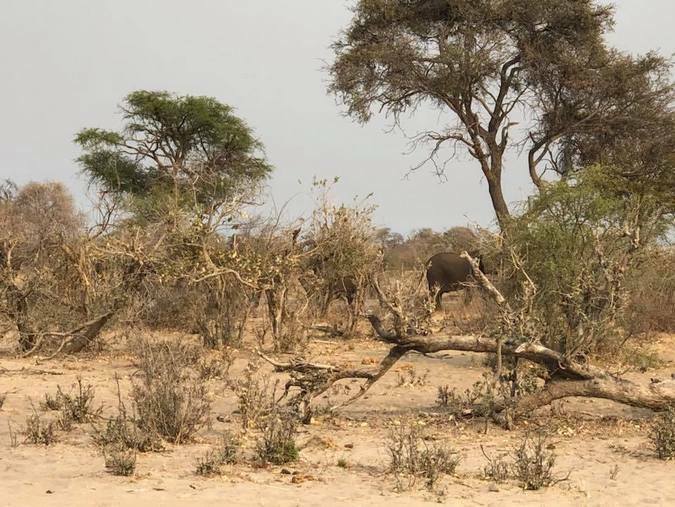 The nearby open international borders posed a poaching threat and the Botswana Defence Force was deployed along the border after two recent episodes of near total extinction of rhinos by poachers. It all changed a few years ago when the hunting of elephant and other wildlife in the area was banned. 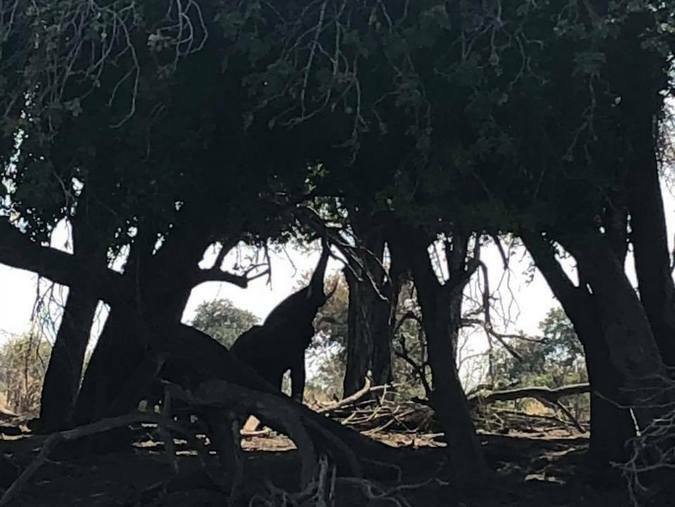 The ban was put in place after little consultation, motivated by blaming dwindling wildlife numbers on overhunting with no tangible evidence of real cause. Hunting concessions were then converted into photographic safari concessions. 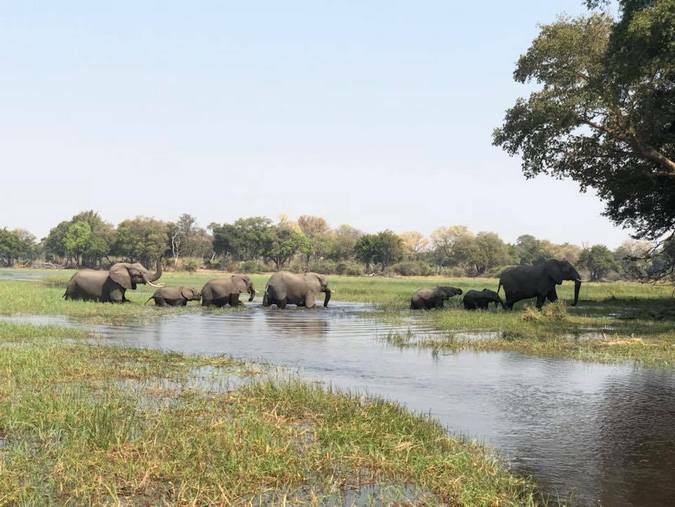 Photographic tourism was subsequently greatly promoted, and labelling Botswana as a safe haven for elephants and rhinos was at the core of the tourism marketing drive. Elephant population numbers were manipulated and inflated to as much as 200,000 to celebrate the conservation success and to lure more people. Tourism, as one of the main earners of foreign exchange, grew tremendously and surpassed agriculture as part of the GDP, while the influx of elephants resulted in dispersal all over Botswana, causing widespread human-wildlife conflict and vegetation damage, and placed enormous strain on Botswana’s compensation and anti-poaching resources. To achieve greater control over the nature-based tourism growth process, wildlife resources were centralised, and local responsibilities and benefits were largely taken away from the communities. The benefits of tourism only benefited a few large companies, leaving the communities behind with the stark reality of the shear number of elephants (and predator conflict). 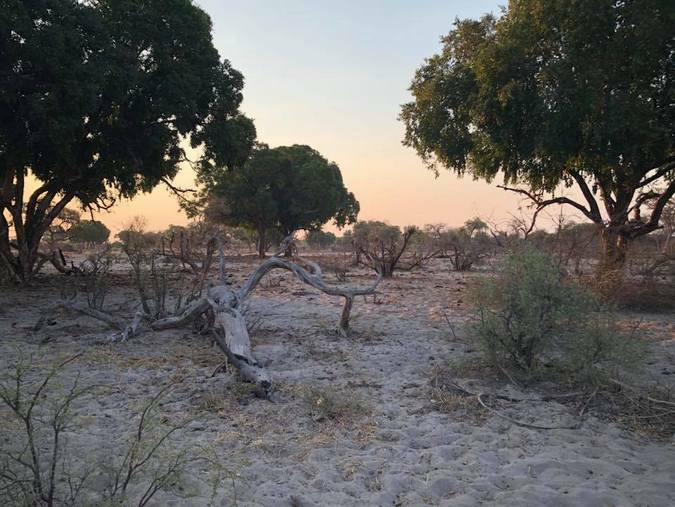 While the world was celebrating Botswana tourism stakeholders with rewards and accolades, the picture in rural Botswana looked quite different – that of locals paying a high price. So here is part of that dark picture. This remote area, that Thalefang Charles refers to as “Overseas”, has about 16,000 people and 18,000 elephants. 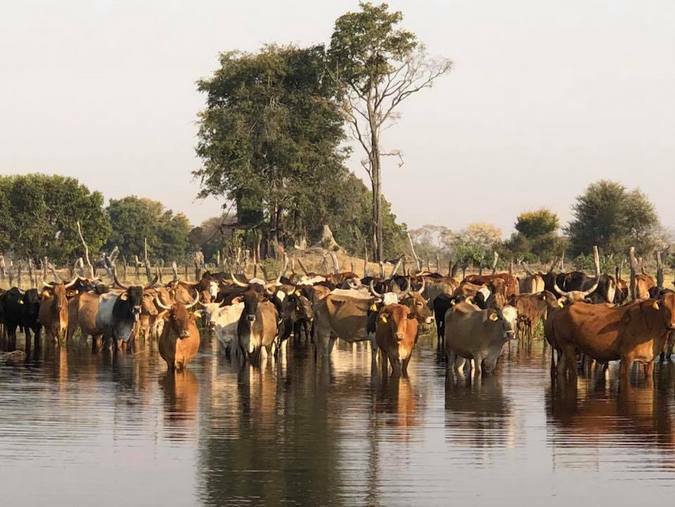 More than 16,000 cattle graze the floodplain between Seronga and Gudigwa. 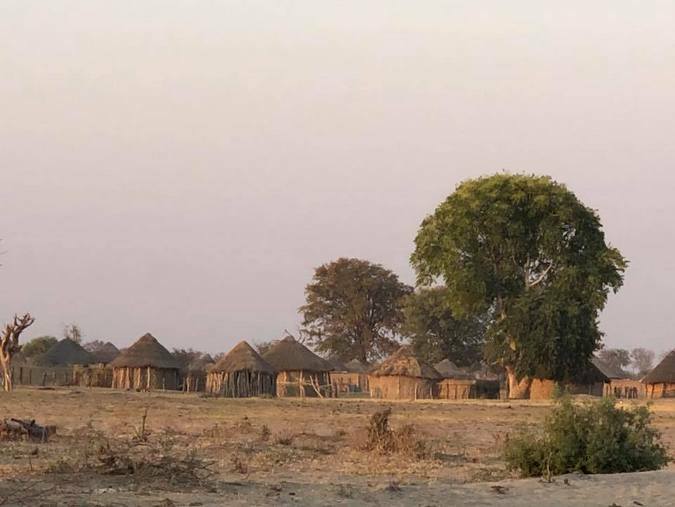 Small settlements dot the area between the villages all along the road, on the floodplains and into the dry north. As you drive along the road, signs by a conservation NGO indicate the elephant corridors that the elephants use to reach the water on the floodplain. This is to prevent future development, but does not safeguard the houses and fields already established in the way of the ever increasing elephant herds. To some extent, these signs are rather ironic. 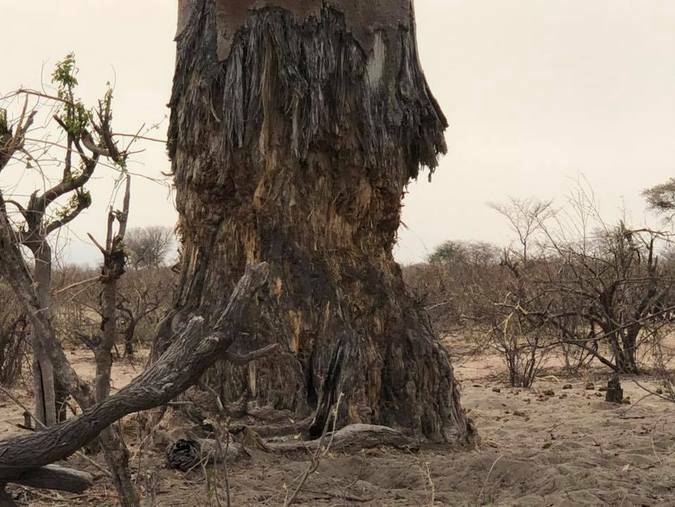 The short stunted mopane shrubs strewn with skeletons of large trees interspersed with well-worn elephant paths and heaps of elephant dung where they cross the road, is stating the obvious. 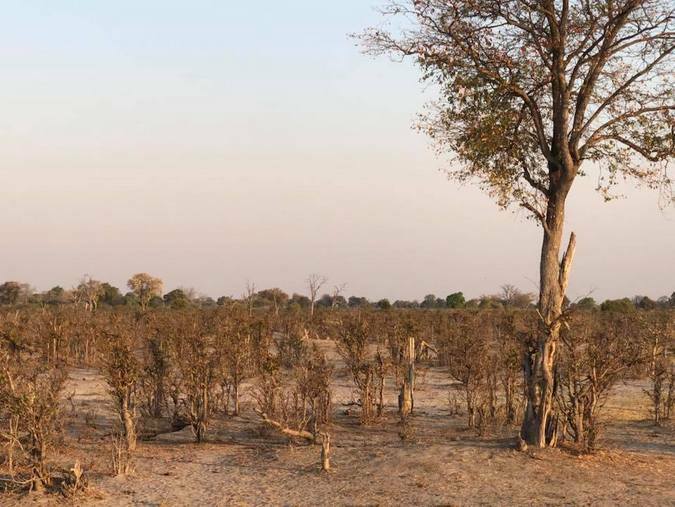 As the rain-filled waterholes in the north are drying up, the elephant herds need to walk south to the floodplains to drink every day, not only intensifying the human-wildlife conflict, but causing an ever radiating devastation to the vegetation which is now also starting to affect the large trees on the islands of the floodplains. They arrive at dusk and leave again at dawn, preventing human movement in the dark. 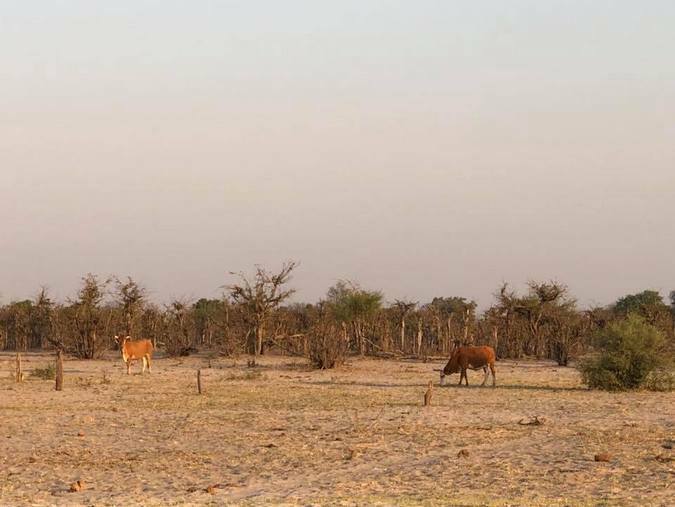 Where it used to be only elephant bulls hanging around on the floodplains during the day, now some cow herds do not leave, staying close to villages and preventing free movement of people from working their fields or tending to their livestock – even during the daylight hours. For not only water, but also browse is getting scarce in the north. And the crop raiding during the rainy season has escalated and some people have stopped planting. 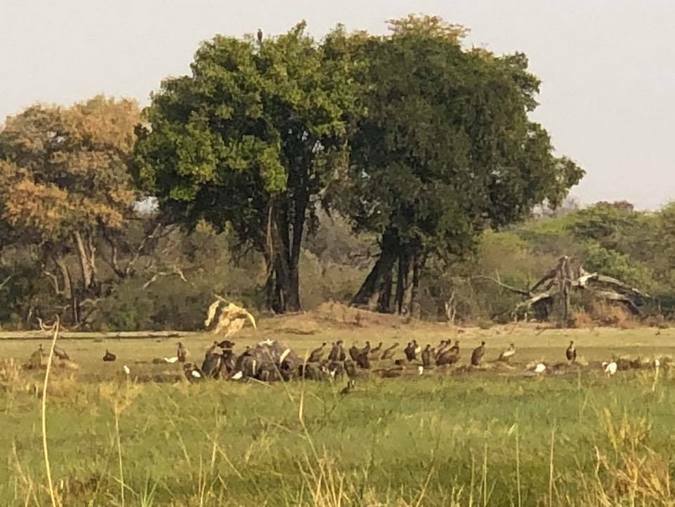 Close to the road on the floodplain near the village of Gunotsoga lies the carcass of a female elephant, with vultures cleaning the hollows in her skull where her tusks have been removed. This is the matriarch of a small herd. She killed an old man on the road three weeks ago. He left on foot for the village from his settlement at about six in the morning but never goth there. His mutilated body was found next to the road by a passerby, with the story written in the sand – a tale of unprovoked fury by the cow elephant. So back to the BBC article and the pure hate and condemnation it has provoked from some circles. Allow me some perspective while remembering the souls of the old man and the elephant matriarch, and so many old men and elephants in villages all over the north of Botswana. No good will come from their deaths if it based on lies. Firstly, the anti-poaching units were never disarmed. Their military weapons were removed as it is against the law in Botswana and they are already assisted by the Botswana Defence Force which is suitably armed and equipped. The APU’S still have their semi-automatic weapons. So blaming the poaching on the “deweaponising” of the law enforcement agencies is not factual or logical. The areas in question are close to the Namibian border, and away from the core areas usually covered by the APU’s where a number of Defence Force Units are already deployed. Despite the presence of these units, the alleged killing of such large numbers of elephants in such a short period of time was not noticed. Some areas involved are prone to anthrax-related mortalities. As such the spatial and time scale claims, and the cause of mortality as claimed by the BBC report, are to be questioned. Furthermore, the statement that the scale of poaching recorded by EWB was not witnessed before, seems sensation driven since East Africa lost 30,000 elephants per year (80 per day) not so long ago. Botswana does not approve of poaching on any scale. Our past track record is proof of that. But Botswana as a safe haven is a marketing stunt. It does not exist and will never exist because no such haven country exists anywhere in Africa. With the number of elephants in Botswana, the scale of human-elephant conflict, the geographical challenges and the regional onslaught, it is inevitable that we will experience a degree of poaching. And poaching will most likely increase. But with an annual elephant population increase of 5%, on 154,000 elephants in Botswana, even the BBC reported poaching rate is insignificant and will not threaten elephants as a species in Botswana. To hold Botswana responsible for the conservation of the whole African elephant population is unfair. No international vocalisation will reduce the scale of the poaching in Botswana. Poachers do not read newspapers or Facebook. It is our responsibility and we are not afraid to take it on. That also include admitting when things are not working. The previous exclusive conservation policy has now been proven to be disastrous and very expensive to our national budget. Not only the elephants, but also people and other species like the rhinos in the Delta are in jeopardy. Change is imperative and you need to give us that chance. We need to shift the emphasis of our poaching mitigation in Botswana away from our ability to arm our APU’s or to ban hunting, or even on the size of the tourism industry. We need to base it on our ability to restore a safe and stable rural, political and economical environment combined with pragmatic conservation measures where local communities are part and parcel of the responsibilities and benefits of sustainable conservation. We also need to redefine co-existence – not to fulfil a western conservation doctrine, but to include a workable definition based on sustainability for communities and wildlife. Culling the elephants is not a solution due to the numbers involved. As such the proposed lifting of the hunting ban will not negatively affect the numbers. The annual elephant trophy hunting quota for Botswana never exceeded 400 animals per year, complimented by a small number of citizen hunting licenses. But hunting may provide a fast track to tangible benefits for the hardest hit communities, until a better sustainable solution can be established. And hunting in hot spot conflict areas may induce elephant movement out of those areas, as has happened in neighbouring range states (to our detriment). Additionally we need to shift emphasis of our tourism marketing drives. For too long we have built our nature-based tourism industry on a false illusion of “pristineness” that excludes any signs of human existence. It is these illusions that allow for the current hype of emotions based on misleading reporting. The wilderness areas in Africa were never without people and will never be without people. By excluding people, and allowing elephant numbers to get out of hand in Botswana, we are running the risk of losing more elephants and other wildlife through the conflict, poaching and starvation than are sacrificed through hunting. And I dare not imagine the cruelty that goes with that scenario. At the same time we should educate tourists to accept that people and livestock are part of the environment, and the safari experience that they are paying for. Our President needs support in his conservation approach. He does not deserve the condemnation that followed the BBC article. If any are to be blamed, then perhaps look at neighbouring elephant range countries and their lack of taking responsibility for their own elephants. It is the right of Batswana to live in a safe environment. It is embedded in our Constitution, as it is in most countries’ Constitutions. And to impose measures that we can afford. Only when we are feeling safe and secure will we be able to conserve our rich wildlife heritage. And for now we are threatened by our own success. Give us some room? Change is never without pain. Especially to those who benefited most in the past.